It’s a perfect long-weekend jam. In early 2017, we wrote that Jay Som was an indie artist to watch out for in 2017 -- and our prophecy came true. 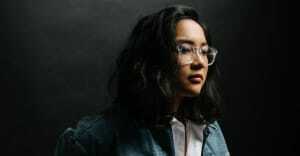 Later last year, Melina Duterte, the multi-instrumentalist behind Jay Som, put out a stellar debut album, Everybody Works, which is chock-full of earwormy tracks that are perfect for any bus ride and day in. Duterte is now sharing two previously unreleased tracks that were cut from that project, "Pirouette" and "O.K. Meet Me Underwater," in an upcoming 7'' that will be dropping Jan. 26 titled Pirouette. The title track was released Thursday (you can hear to it above) and listening to it is a joyful, brilliant ride that reminds me of sitting on a sunny bus winding the city in the summer time. It's a vibe that'll probably warm up your long-weekend no matter where you are.